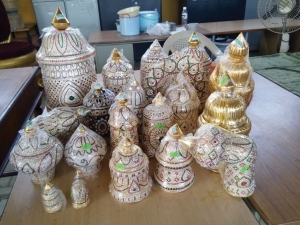 Continuously producing temple structures, deities, vahanas (vehicles of the deities), flagstaffs, temple jewelry, worship items, kavacham (sacred armors),sacred weapons, deity arches, crowns &amp; jewelry of deities, chariots &amp; thrones as per the Agama Shastra – the oldest available scriptural text of instructions from Lord Shiva. 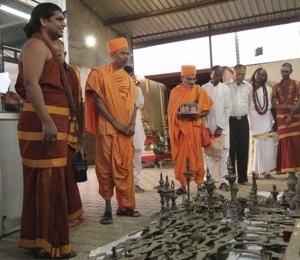 Temple arts in not only panchaloha, but also in silver, stone, sheet metal,marble and wood. Generating intricate line drawings and crafting the rare sculpting tools that are unavailable in the regular market. Employing the ‘Sithuzhi velai’ – extremely fine and nested carving on metal using extra-fine tools to show ornate details on the deity forms. Using only the coconut palm leaf for all measurements with the vedic unit of measurement called ‘talam’. Training, livelihood and growth opportunities to sthapathis – temple architects– and hundreds of artisans and their families, giving them economic stabilityto continue their family profession over generations. 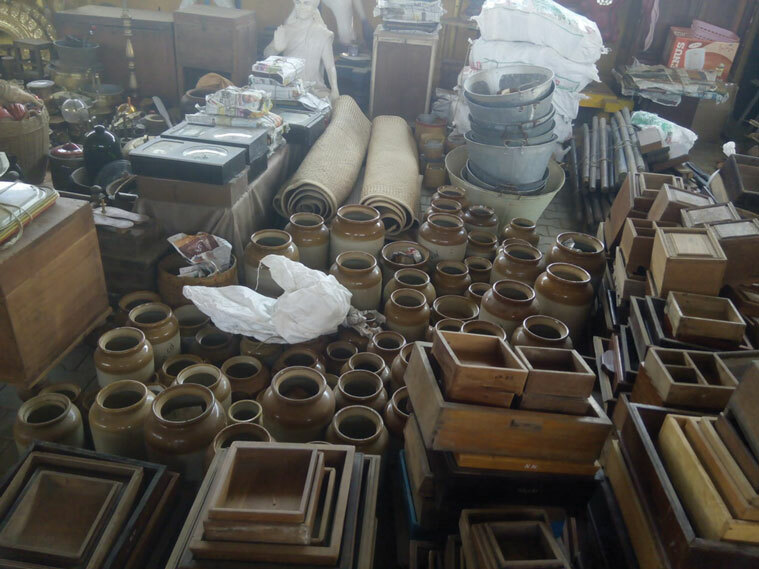 1 lakh vedic artefacts collected from all over India, rejuvenated and distributed for everyday usage to infuse deeper consciousness and better health into modern day living. Evolve as an independent city producing vedic temple arts and artefacts fordistribution to the whole world. Produce items for 400 temples within thenext 3 years. Confer doctorate degrees on the sthapathis and artisans for preserving the apathis and artisans for preserving the invaluable vedic knowledge and skill.